The announcement comes days after she made comments on her show about blackface. Megyn Kelly's NBC morning show will not return to the network's airwaves, NBC News reported Friday, citing a spokesperson. "'Megyn Kelly Today' is not returning," the spokesperson was quoted as saying. "Next week, the 9 a.m. hour will be hosted by other TODAY co-anchors." 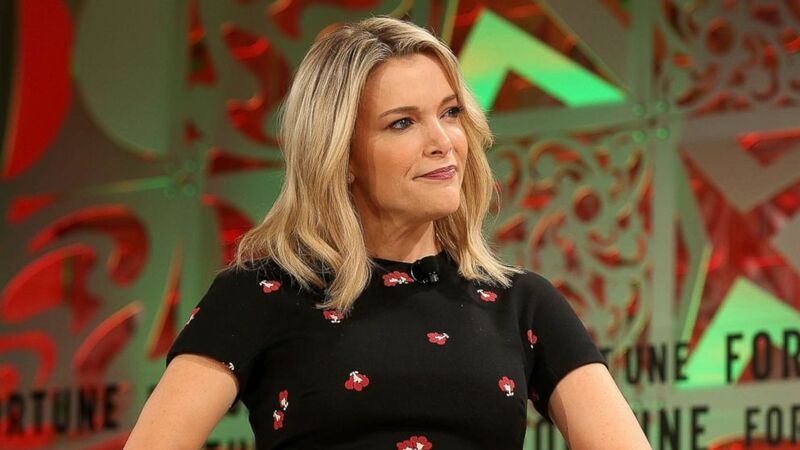 Kelly began hosting her daytime talk show, "Megyn Kelly Today," on NBC after leaving Fox News in 2017. The announcement comes just days after she was criticized for comments she made on her show in which she questioned why dressing up in blackface for Halloween is inappropriate. "But what is racist?" she wondered aloud. "You do get in trouble if you are a white person who puts on blackface in Halloween or a black person who puts on white face for Halloween. Like, back when I was a kid, that was OK as long as you were dressing up as, like, a character." Kelly also defended a reality TV star who darkened her skin to dress up as Diana Ross. "Some people said that was racist," she said. "I felt like, who doesn't love Diana Ross? She wants to look like Diana Ross for one day, and I don't know how that got racist on Halloween." Kelly's remarks quickly drew backlash on social media. "I cannot believe the ignorance on this in 2018," Padma Lakshmi wrote on Twitter. "You are on national television. You have a responsibility to educate yourself on social issues @megynkelly. This is so damaging." (Phillip Faraone/Getty Images) Megyn Kelly speaks onstage at the Fortune Most Powerful Women Summit 2018 at Ritz Carlton Hotel on Oct. 2, 2018 in Laguna Niguel, Calif.
"To me, I thought, why would it be controversial for someone dressing up as Diana Ross to make herself look like this amazing woman as a way of honoring and respecting her?" Kelly wrote in part in the email, which was obtained by ABC News. "I realize now that such behavior is indeed wrong, and I am sorry. The history of blackface in our culture is abhorrent; the wounds too deep." "The fact is, while she apologized to the staff, she owes a bigger apology to folks of color around the country," co-host and weather anchor Al Roker said. "This is a history going back to the 1830s," Roker continued. "Minstrel shows to demean and denigrate a race wasn’t right. I'm old enough to have lived through 'Amos 'n' Andy,' where you had white people in blackface playing two black characters, just magnifying the worst stereotypes about black people -- and that's what the problem is and that's what the issue is." "There was some criticism yesterday online that this was political correctness run amok," co-host Craig Melvin added. "That's silly and it's disingenuous and it's just as ignorant and racist as the statement itself." "In addition to her being a colleague, she’s a friend," he said. "She said something stupid. She said something indefensible." Afterward, Kelly went on air and issued another apology. "I want to begin with two words: I'm sorry," Kelly, visibly emotional, said at the top of her live-audience show Wednesday morning. "You may have heard that yesterday we had a discussion here about political correctness and Halloween costumes." She continued, "And that conversation turned to whether it is ever OK for a person of one race to dress up as another -- a black person making their face lighter or a white person making theirs darker to make a costume complete. I defended the idea, saying that as long it was respectful and part of a Halloween costume, it seemed OK. Well, I was wrong and I am sorry. I have never been a 'PC' kind of person, but I do understand the value in being sensitive to our history, particularly on race and ethnicity. This past year has been so painful for many people of color."